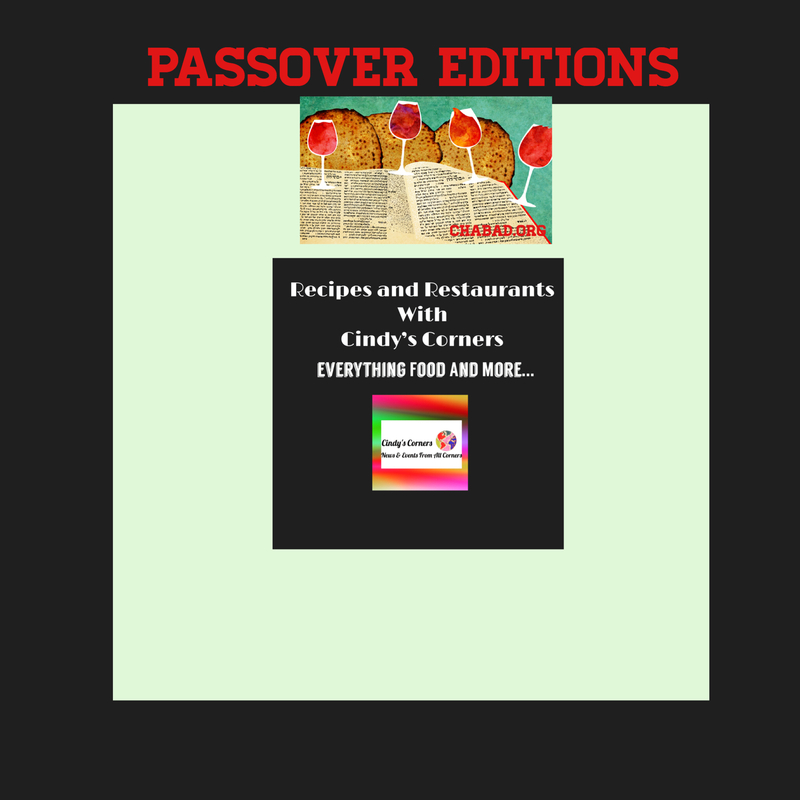 For the next month, Recipes and Restaurants from Cindy’s Corners will feature everything Pesach, with extra articles. Not only will we feature food, but we will also share tips on decor, Judaica, cleaning, day trips and getaways, utensils and appliances and fashion. Before anything, we clean. 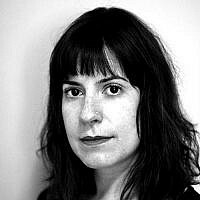 Here are some tips from Chani Miller Of Kiss Clutter Goidbye. 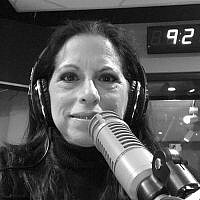 “With Passover just around the corner, there isn’t the time to do any major organizing or decluttering. But you can focus on the kitchen since it will most probably need cleaning for the holiday anyways. I love to empty out every kitchen drawer and cabinet at least once a year, vacuum out any stray crumbs and choose a nice scented cleaning spray so it smells good too. If you use lining paper then maybe it’s time for a new design. Choose something pretty, that sparks joy and give your cabinets a mini makeover. Go through your food pantry and throw out any expired items or food you’re not going to eat. Then give those shelves a good wash down, to freshen up your kitchen for spring. Maybe open the windows and put on some funky music to get you in the mood. If you’re feeling really ambitious, wash the outside of the cabinet doors as well. One place we clean and update our cabinets in around our spice racks. No longer are we tied to paprika, garlic and onions. Thanks to companies like Pereg Natural Foods, chefs and bakers have over 45 slice varieties to choose from. Passover is a time for family recipes that have been passed down from generation to generation to be revisited, requested and enjoyed. However, many of us update them, or blend them together with newer, trendier recipes as our menu options offer something for everyone. Palates have evolved. So when it comes to Passover, there’s no reason to feel stuck in a rut. Passover Zahtar ingredients include: Quinoa Flour, Coriander, Olive Oil, Hyssop (Zahtar Leaves), Parsley, Sea Salt, and Sour Salt. The five varieties of paprika: smoked, hot, hot with oil, sweet dry and sweet with oil. Turmeric, not only to include in soups and on veggies, but turmeric is a healthy addition to most cleansing drinks and shakes. Allspice, because nothing adds to all those apple and fruit creations like kugels and cakes like allspice. Whole Chili Peppers for the night I plan a Mexican Passover dinner, complete with KP tequila. The perfect combinations for those “no think” meals when one pot works: Bar-B-Q, Fish & Sea, Grilled Chicken, Meatball, and Mexican Chili Peppers. Cinnamon Sticks, not only to use in recipes but as a garnish in teas, and to use in table decor arrangements. Passover meals have strong flavors and scents that don’t need to compete with the fragrance of flowers. By sneaking the sticks into the bouquets, everything looks and smells in unison. Of course, onions, garlics, salts, dills and the other required spices are on my list as well. 1. Preheat oven to 200 degrees F. Place ribs into a large roasting pan; set aside. 2. In a small bowl, combine oil, salt, pepper, paprika, onion powder, garlic, and sugar. Mix well to form a paste. Rub paste all over the top and bottom of the meat. 3. If you have time, let the meat stand at room temperature for 1 hour to absorb some of the flavors. 4. In a second bowl, mix maple syrup, wine, vinegar, tomato paste, and salt. Pour over the meat. Cover the meat really well. Place in oven for 16 hours overnight. 5. Brush pan juices over meat; cut apart ribs just before serving. 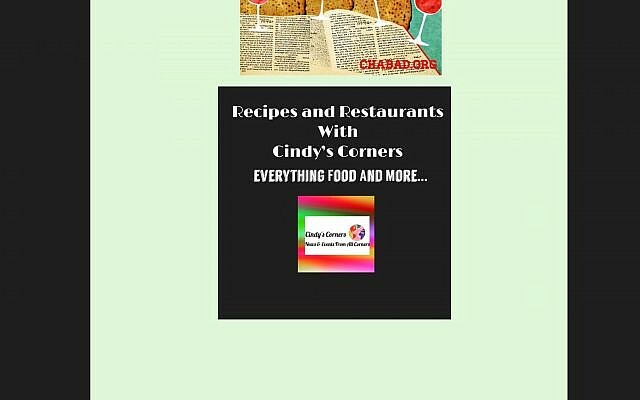 Food, Fun, Family and Friends…Everything Food In Recipes and Restaurants From Cindy’s Corners.